Court: Woman uses funds from her Ketubah [jewish marriage contract] to finance the cost of psychological testing. On Intelligence, Sensitivity and Divorce. Profile of Avivit Moskovich in Living with Style magazine. The Goel Ratzon affair and the ruling that sentenced him to 30 years of imprisonment. The price of war: skyrocketing divorce rate among southern residents. So why do people get divorced? Woman sues for visitation arrangement with daughter of past spouse. Gotten divorced? 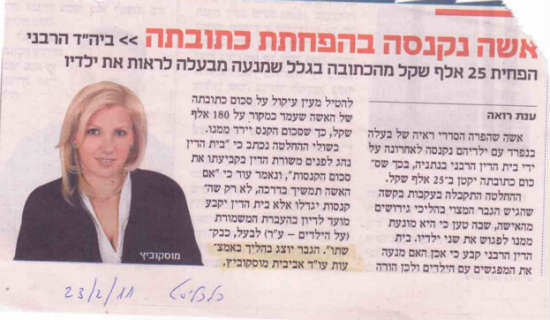 You won’t be able to leave Eilat with your son. Tu B’Av [Jewish Valentine’s Day] – Useful advice for good couple relations. After preventing her husband from seeing his children – court fines woman and deducts it from the Ketuba amount. Smadar waits six years for a Jewish divorce, and there’s no one to help her. Court verdict: Insurance monies – a shared asset. Story of a husband who sexually abused the couple’s daughters and received a court reprimand. 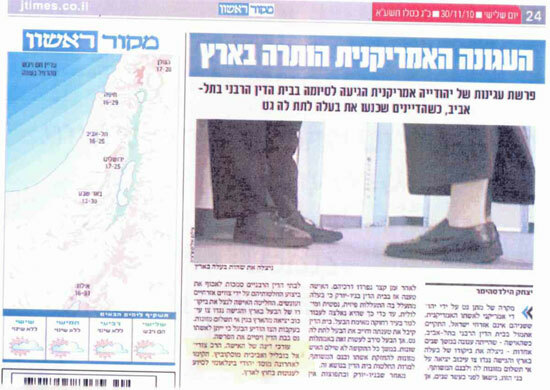 Boy from Argentina abducted by his mother will stay in her custody in Israel – today’s ruling by Family Court in Kfar Saba. Have you decided to divorce? Who will you entrust with handling the division of property? Avivit Moskovich! The Law – with attorney Avivit Moskovich The legal desk summarizes the events of 2014. What ever happened to love? 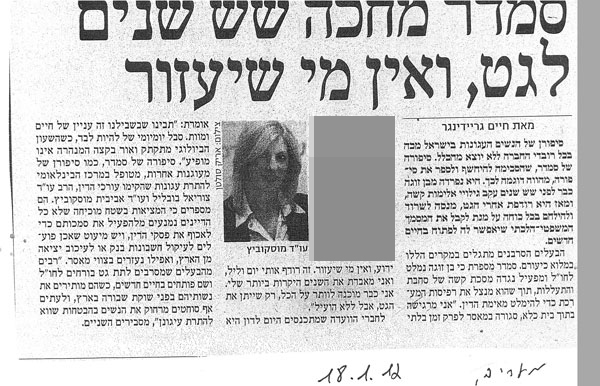 Surprise in rabbinical court: Woman awarded monies for adaptation period, irrespective of her remaining rights. Know your rights: How are pension rights divided in the event of a spouse’s death? Safe harbor An insurance agent is much more than an individual who markets policies to his customers. The agent is a key figure, mainly in times of crisis. Caught red-handed? An unbelievable story of infidelity. It is our business Outstanding debts in an inheritance, book value of ‘reputation’ forcibly divided between the spouses. How to handle the legal implications pertaining to your business in the event of death or divorce. Behind the masks Despite exhibiting sincere motives, partners in a business or couple relationship can occasionally bring about disappointment and regret. Just like financial agreements, pre-contractual agreements can minimize damage. Sperm theft? His side – her side. Family obligation The goodwill of parents in helping their children in assuming a mortgage is liable to ultimately harm the parents in the event the couple divorces. Did you help your children in purchasing an apartment? If so, there are legal implications.